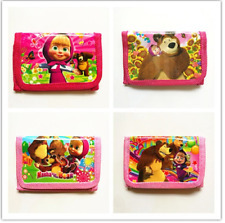 Disney Frozen Anna & Elsa 3" Hot Pink Coin Purse-Brand New with Tags!!! Disney Frozen Anna & Elsa 3" Light Blue Coin Purse-Brand New with Tags!!! Tatty Devine Gin Coin purse green brand new with tags super cool ! This page was last updated: Apr 21 12:48. Number of bids and bid amounts may be slightly out of date. See each listing for international postage options and costs.